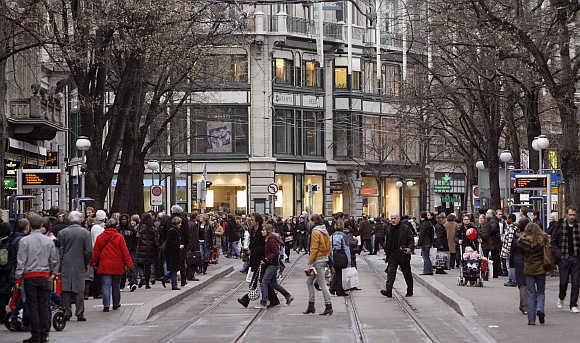 DHL Global Connectedness Index documents both the potential to increase global connectedness and the problems the world has actually encountered in doing so, since the world is less globally connected today than it was in 2007. The DHL Global Connectedness Index was developed to provide readers the most comprehensive and timely source of hard data and analysis depicting the actual extent and direction of globalization around the world. 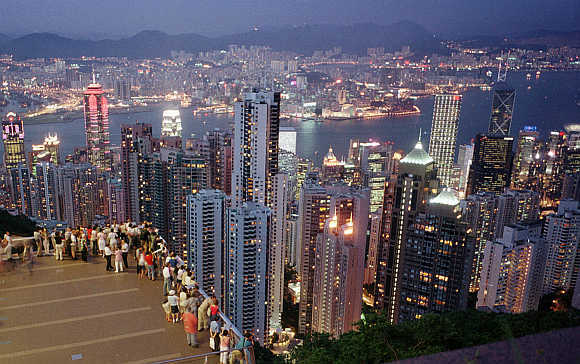 Let's take a look at some of the most globally connected countries in the world. 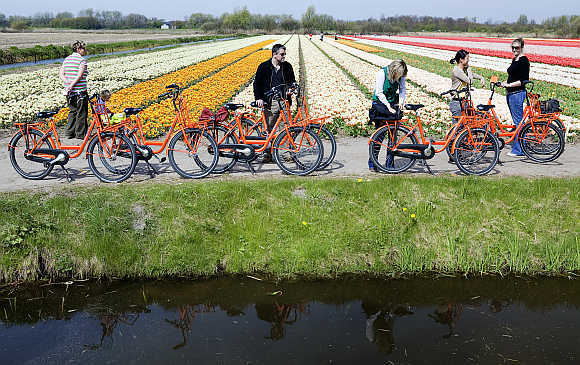 Image: Cyclists visit a Dutch tulip field in Noordwijk. 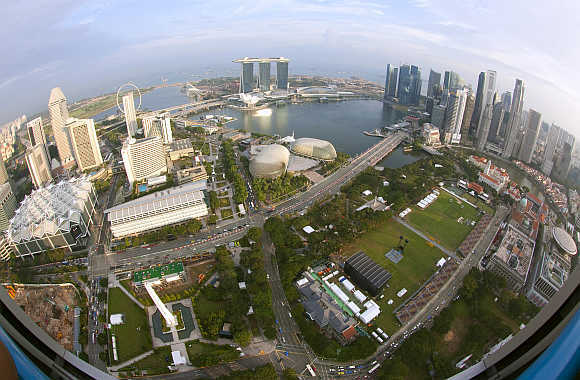 Image: A view of Marina Bay and Singapore's central business district. 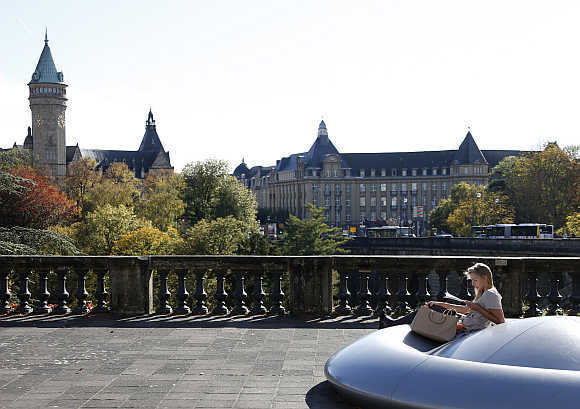 Image: A woman reads during a sunny day in Luxembourg. 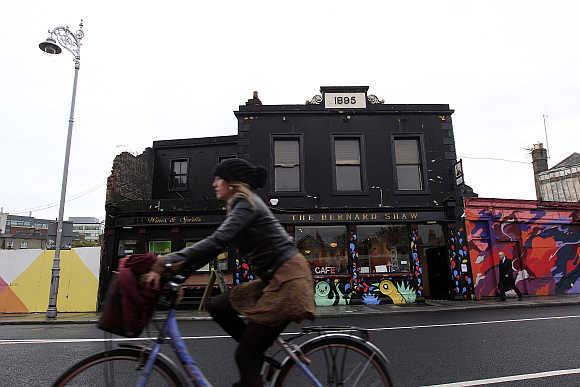 Image: A woman cycles past the 'Coffee To Get Her' restaurant near Dublin city centre, which becomes a bar and club in the evenings. 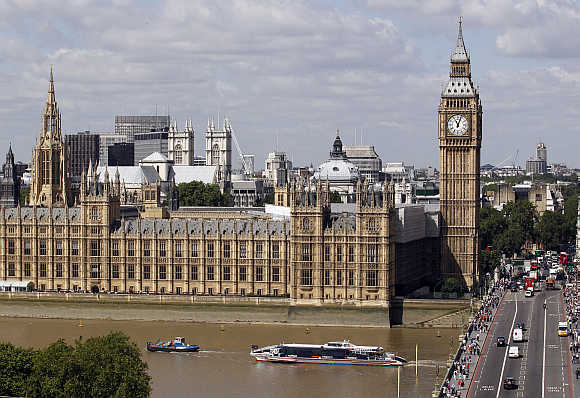 Image: Traffic on the road and the Thames passes the Houses of Parliament in London. 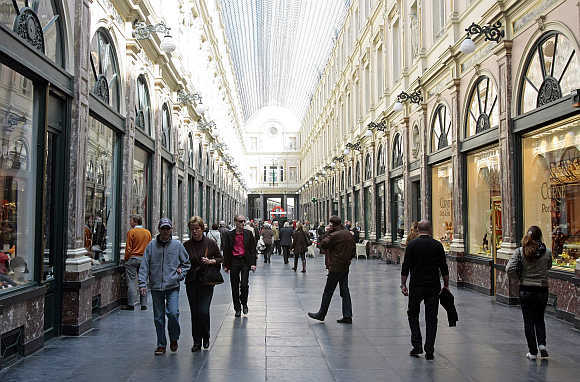 Image: Tourists walk in Brussels' Royal Galleries of Saint Hubert. 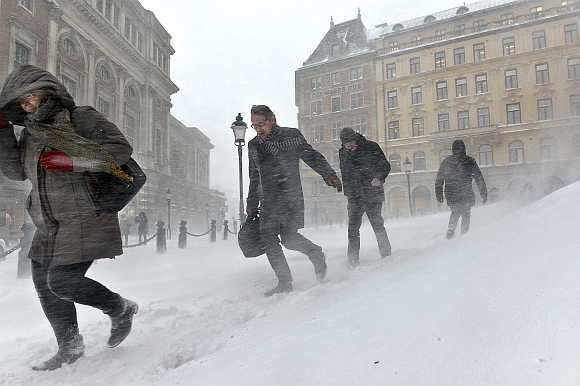 Image: People struggle against wind and drifting snow in Stockholm. 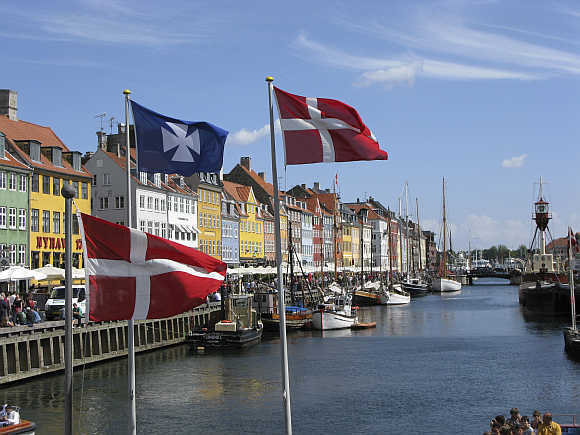 Image: The Nyhavn canal, part of the Copenhagen Harbor and home to many bars and restaurants. 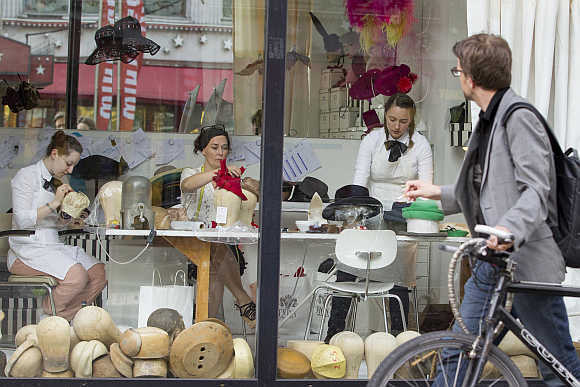 Image: Hat designer Fiona Bennett and her assistants work in Bennett's studio at Potsdamer Street. 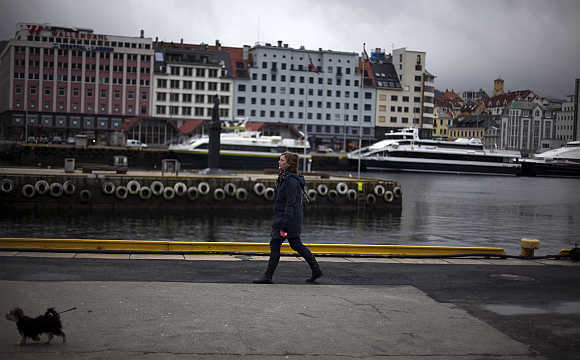 Image: A woman walks her dog near the marina in downtown Bergen. 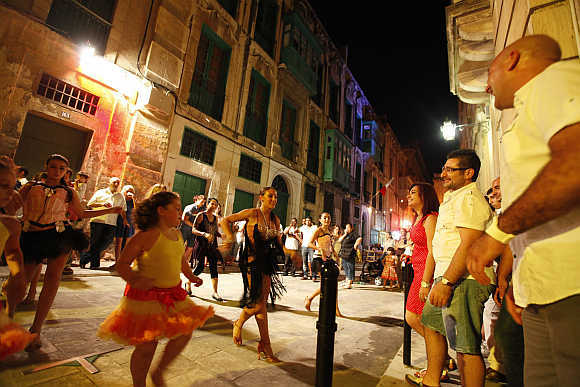 Image: Dancers perform on a street during Notte Bianca (White Night) celebrations in Valletta. 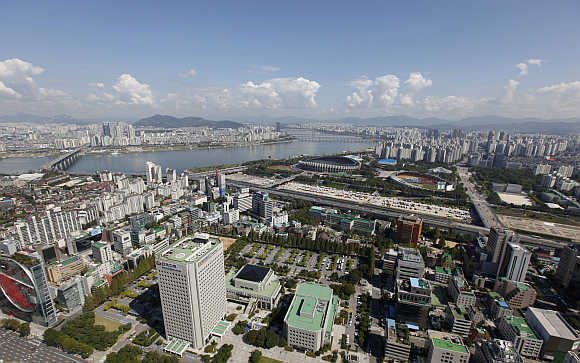 Image: Part of Gangnam area down the Han River in Seoul. 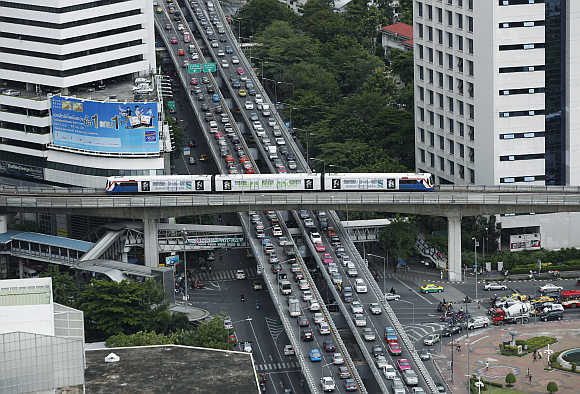 Image: A skytrain passes over vehicles on the road during rush hour in Bangkok. 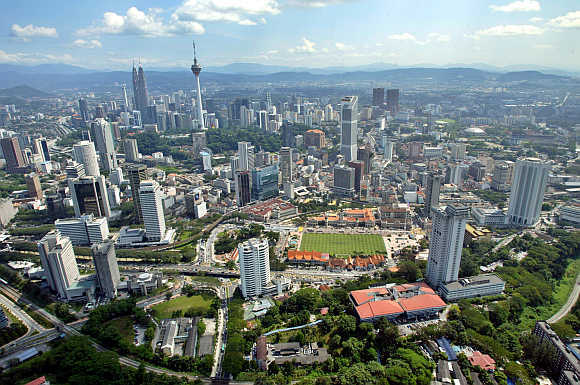 Image: A view of Malaysia's capital Kuala Lumpur. 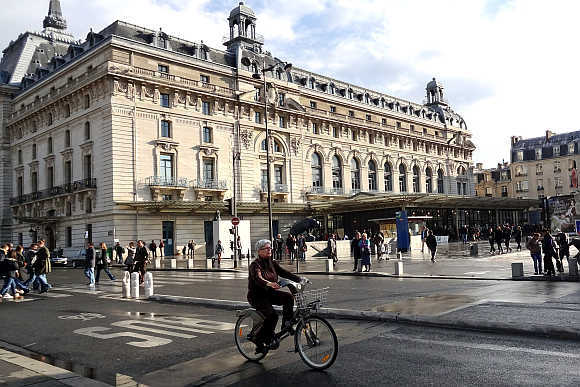 Image: A cyclist rides past the Orsay Museum in Paris. 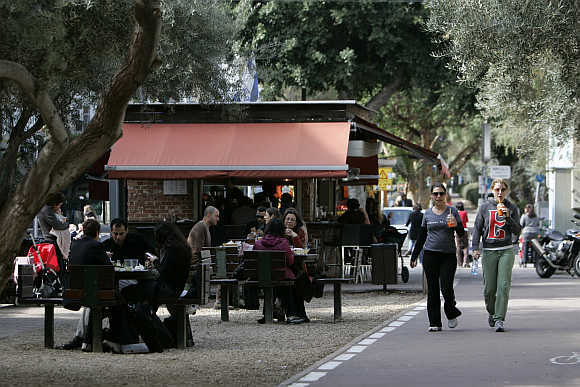 Image: People walk past a cafe in Tel Aviv. 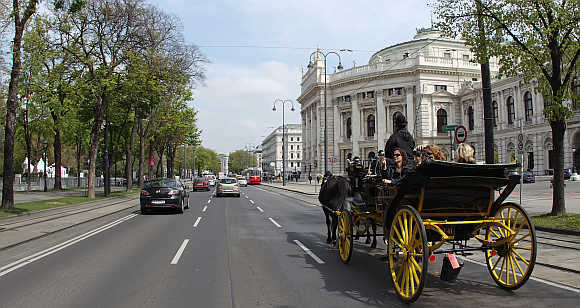 Image: A traditional Fiaker horse carriage passes Burgtheater theatre at Dr-Karl-Lueger-Ring street in Vienna. 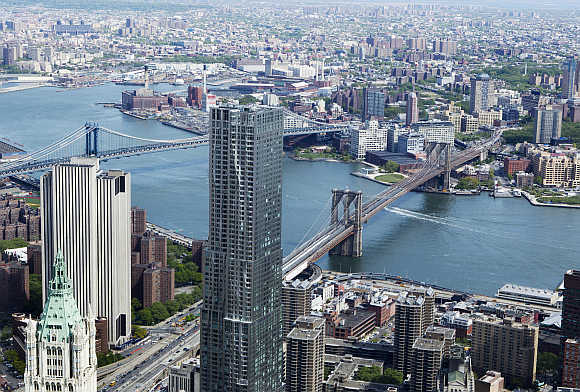 Image: Brooklyn Bridge and Manhattan Bridge is seen from the 90th storey of One World Trade Center in New York. 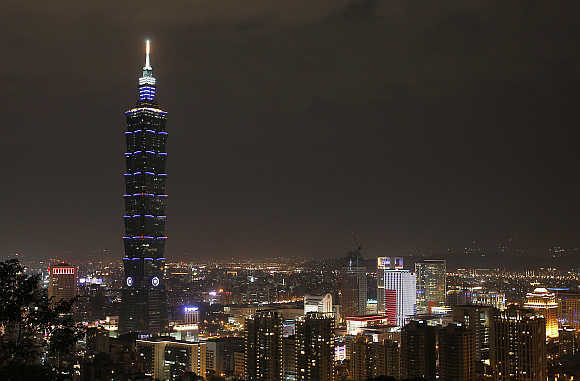 Image: Taipei 101 building in Taipei. 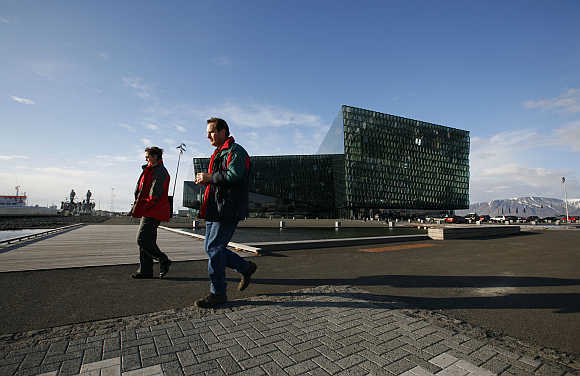 Image: A view of Concert Hall in downtown Reykjavik. 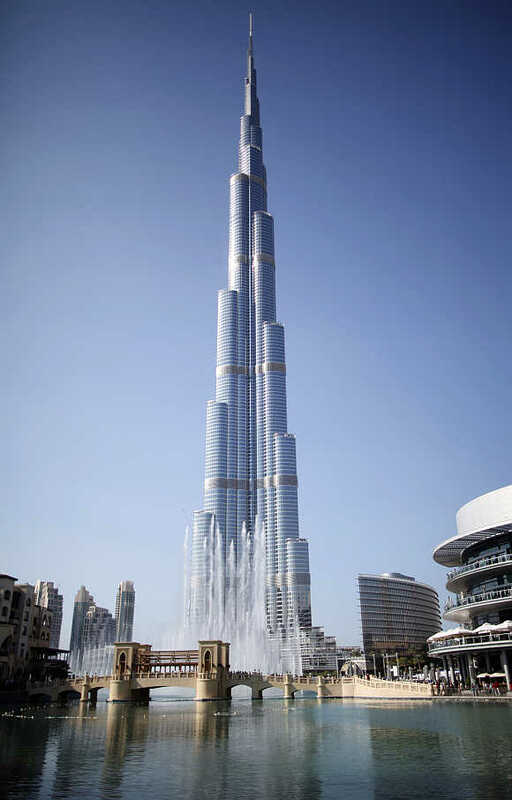 Image: A view of Burj Khalifa, the world's tallest tower, in Dubai. 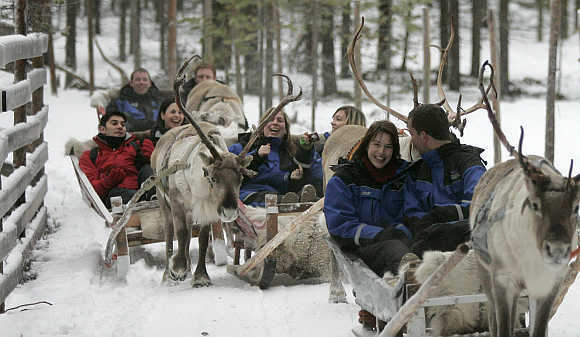 Image: Tourists take part in the reindeer safari at Arctic Circle near Rovaniemi. 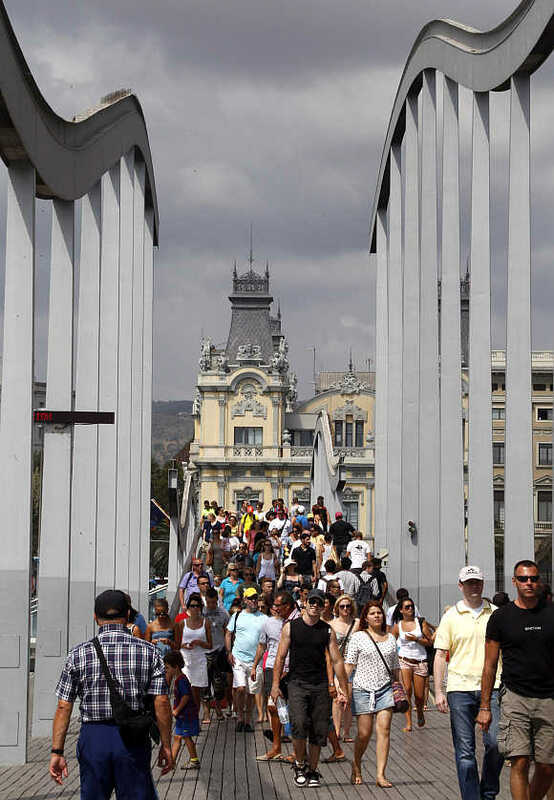 Image: Tourists stroll along Barcelona's harbour in Barcelona. 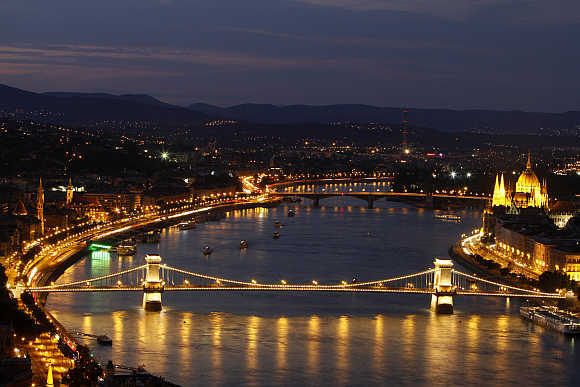 Image: A view of the Chain Bridge in Budapest. 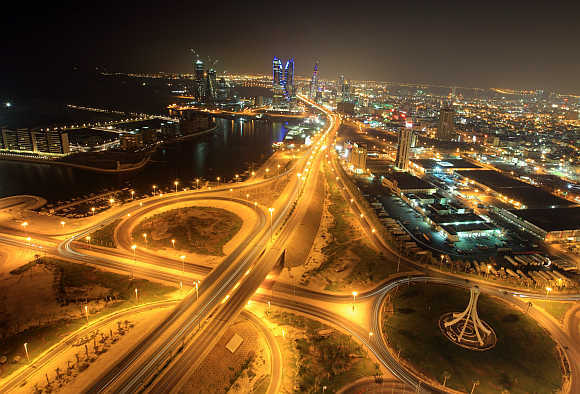 Image: City view of Bahrain's capital Manama. 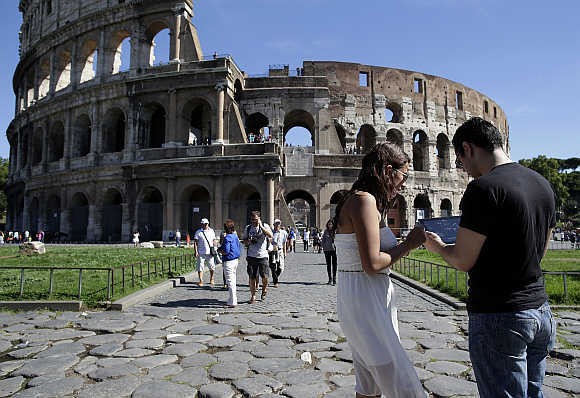 Image: Tourists in front of Rome's ancient Colosseum. 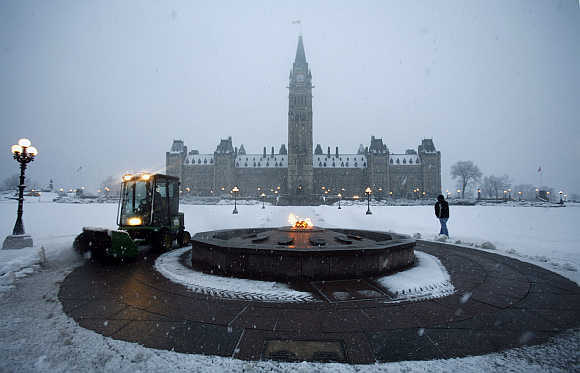 Image: A worker cleans away snow around the Centennial Flame on Parliament Hill in Ottawa. 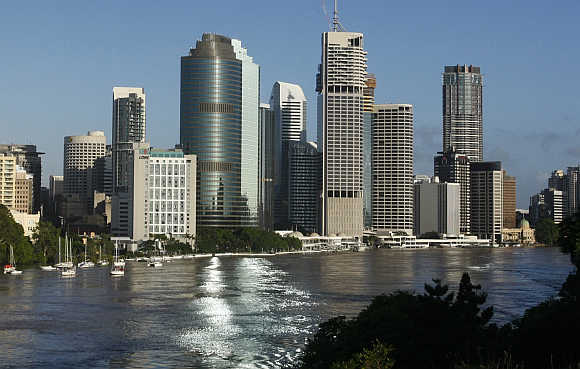 Image: A view of central Brisbane.